The TRUE M50 elliptical is a stylishly designed total body workout machine from the well-regarded company. It is an upgraded version of the M30 and comes with a larger suite of features and a slightly higher price tag. With a surprisingly small footprint, it is also one of the most space-friendly machines you will find in this price range. The M50 features the Cardio 360 program for a total body workout and HRC Cruise Control for heart rate training. It also has two new features – ergonomically designed multi-grip handles and orthopedic cushioned footpads – both of which are not available in the lower-priced M30. Unit Weight/Dimensions — 276 lbs; 42" x 30"
The M50’s compact design seems to impress most people – customers and critics alike. The machine can fit through the narrowest of doorways and requires very little storage space. The Cardio 360 feature is definitely the USP of the elliptical trainer. It is basically a virtual training coach, which helps you tone and strengthen every muscle group in your body through a series of total body workout programs. The conveniently designed side steps on the TRUE M50 allow you to work your upper body through isolating exercises. This is a first-of-its-kind feature which is not found in any other elliptical trainer in this price range. The HRC Cruise Control feature also seems to be the favorite of many users. It allows you to set a target heart rate for your workout. Once you do, the machine will adjust the pace of your workout automatically to make sure you maintain the same heart rate throughout your training session. It simplifies the process of heart rate training greatly. The multi-grip handles allow you to work different groups of muscles while the orthopedic cushioned footpads reduce the strain on your joints and lessens the risk of injuries. This is one of the few upgrades from the TRUE M30 model. The only complaint people seem to have is that the M50 lacks a cooling fan and a sound system. It is also wireless chest strap compatible, but the strap is not included in the package. It is surprising as most machines in this price range and even some lower-priced elliptical trainers have these features. 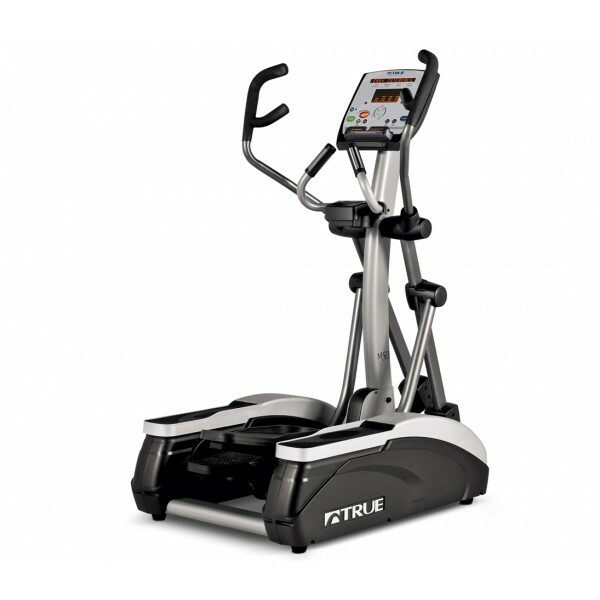 The TRUE M50 elliptical is a high quality machine that should impress any fitness enthusiast. It is compact in size and very sturdy. It is equipped with features that are designed to improve your workout experience and help you get the most out of each training session. It costs more than the M30, but the increase in price tag is justified by the addition of two new features – multi-grip handles and orthopedic cushioned footpads. TRUE charges an extra $299 for delivery and installation, but it is a good idea to pay the money and get it assembled by experts rather than doing it yourself. First, it saves you a lot of time and effort. Secondly, issues that arise out of improper installation are not usually covered by the parts or labor warranty. So, unless you have the technical know-how to assemble an elliptical trainer perfectly, it is advisable to leave it to the professionals. On the whole, the M50 is a solid elliptical trainer from TRUE. It is easy to use and is designed to help you achieve your fitness goals faster. We highly recommend it!